It takes a lot of time and energy to plan a family vacation. Finding where to go, what place to stay, and what to do when you get there can be exhausting – not to mention trying your best to make everyone happy. So for those planning – or thinking about planning – your vacation to Mexico Beach, FL, here’s 10 quick vacation tips. With all the modern conveniences we deal with on a day to day basis, you’re telling me to bring cash money?! Yes, because you’ll miss out on two really great restaurants in Mexico Beach – Killer Seafood & Sharon’s Café. You haven’t experienced Mexico Beach until you’ve tried Killer’s fish tacos or had dinner style breakfast at Sharon’s. So for the time being…don’t forget your cash. I know…that’s a given too. But you’ll want to make sure it’s charged so you can take a selfie on the LARGE beach chair. 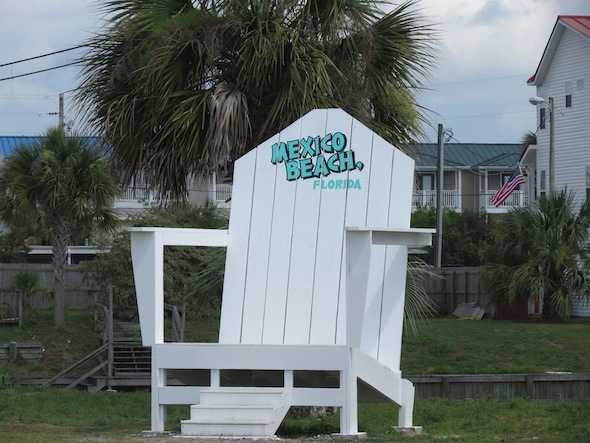 Located next to the Mexico Beach Welcome Center, taking selfies on this behemoth of a beach chair has become a staple for visitors. This might be an impossible task for some, but I promise it’s well worth it. Mexico Beach has a nice selection of stores that offer an exquisite style of clothing, jewelry, and art. 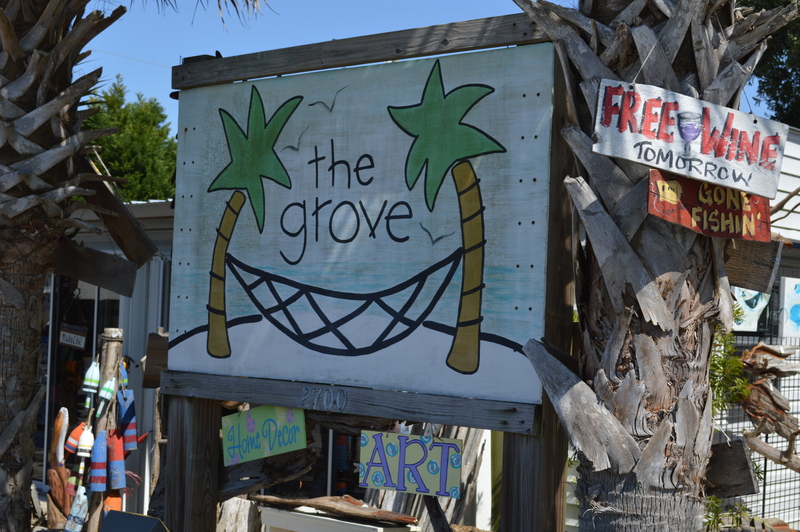 Beachwalk, The Grove, and Frost Pottery Garden are a few must visit shops. Mexico Beach is home to a lot of great restaurants serving fresh local seafood, but why not try cooking it for yourself. 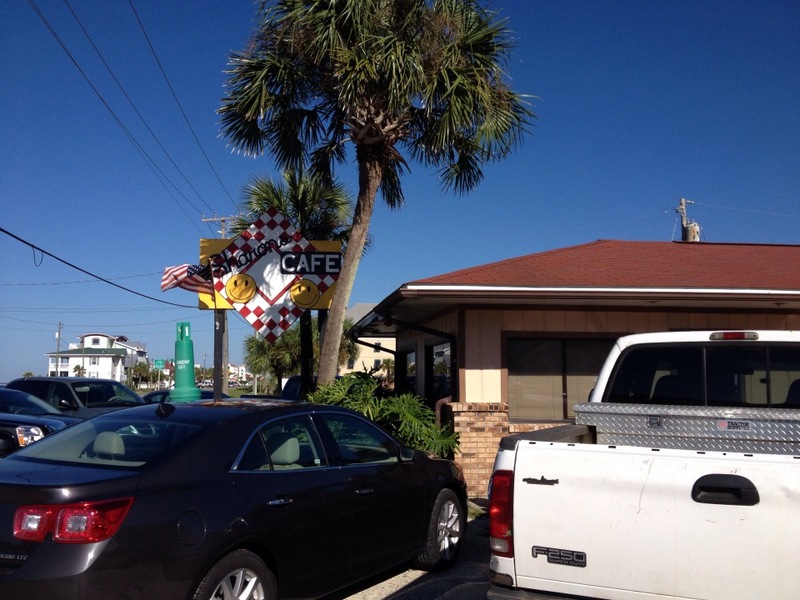 The Shell Shack is the only seafood market in Mexico Beach to purchase some of the best local seafood. They’ve been around for a long time, and if you purchase seafood from them, you’ll understand why. 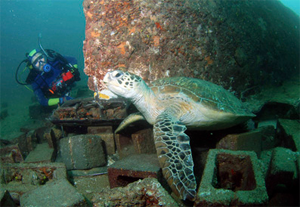 Did you know that Mexico Beach has over 200 artificial reefs for you to explore. Schedule a diving expedition with one of the many boat charter captains to take you on an undersea adventure. If you’re not sure when to visit, check out the local event calendar. Mexico Beach hosts a number of festivals and fishing tournaments throughout the year. Some of the well-known events are the Annual Mexico Beach Gumbo Cook-Off, MBARA Kingfish Tournament, Beach Blast Triathlon, Mexico Beach Photography Contest, Ling Ding Fishing Tournament, Mexico Beach Art & Wine Festival, and New Year’s Eve Celebrate Twice.